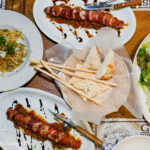 Nic’s Pizza Baguettes is a home-grown, hip and cool diner that offers pizza with a twist called “French Pizza Baguettes”. It is owned by childhood buddies, Reynold Domingo (Main Branch) and Marc Anthony Chavez (Limketkai Mall Branch). They’re located at Dolores Street and upon entering, one will be impressed with the unique decors, artistic paintings and pictures. It’s like a cozy hangout with a hippie, chill vibe perfect for students and youngsters looking for a place to gather, dine and just have fun. Although Nic’s Pizza Baguettes is known for their pizza baguettes, they are now offering “Square Pizzas”. These pizzas come in delicious new flavors such as; Pepperoni, Garlic Chilli and Tuna. Each of them has a distinct taste that every pizza lover will surely love. As for the Pepperoni flavor, one would appreciate the abundance of pepperoni all over it and the generous spread of mozzarella cheese on this square pizza. It’s ideal for those who love meat and do not love spicy-flavored pizzas. Another non-spicy option is the Tuna Square Pizza, it’s a healthy option for those on a diet since it contains “no meat” only tuna, cheese and bell peppers. We love that it has bell peppers on it for added crunch and “kick”. Like the other square pizza flavors, it has a generous amount of cheese all over it to make the tuna square pizza extremely delicious. For those who love to eat spicy food, the Garlic Chilli Square Pizza is the best choice. Upon first bite, one immediately feels the spice kick in. Although it does surprise the taste buds, it isn’t short of delicious. It is so irresistible and one can’t stop asking for more. The taste is very unique and I must say it is our favorite flavor among the three. 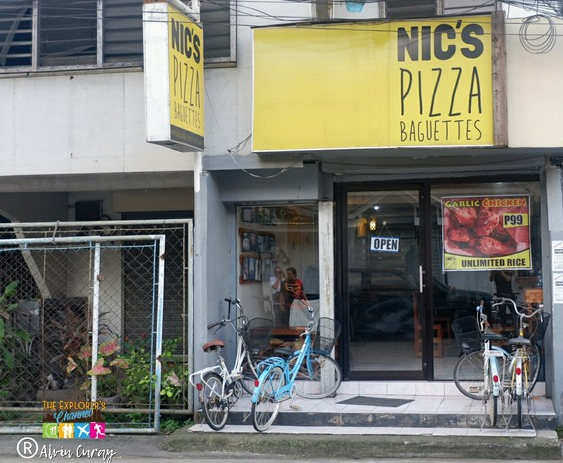 Nic’s Pizza Baguettes also manufactures their own special sauce called “Kataste” which comes in two variants; the Barbecue and the Original hot sauce. It is a recipe created by Reynold Domingo and is the perfect pairing for pizzas and other food items. Kataste sauce can be purchased at Ororama Supercenter at P57 per bottle. We really loved the taste of this sauce, it is very addictive and it really makes the square pizzas more delicious. It’s is a must-try for everybody.